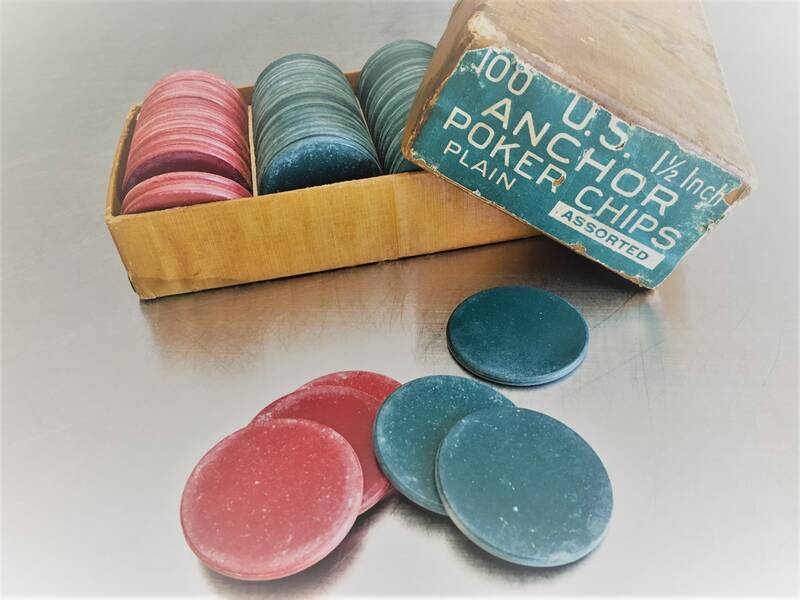 Featured here is a box of Vintage US Anchor Poker Chips in their Original Box. 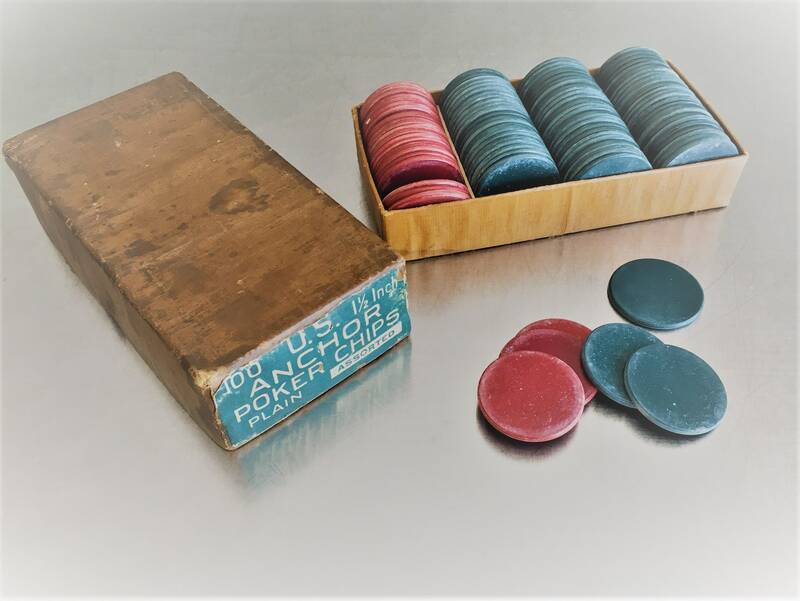 The set includes 24 red chips and 75 blue chips. The chips are clay and 1 1/2 inches in diameter. They are still in the original brown oilcloth covered box with lid and paper label on end piece.